Greetings! 2018 has finally arrived, and together with it, we bring you another list of 3D renderings, giving you another taste of what it could be like if you decide to start a project with us, as well as giving a shoutout to the most outstanding projects from our clients. Of course, we don’t want to forget to congratulate our excellent CAD designers. Always delivering awesome work! Below you'll see some examples of the reach and almost limitless capabilities 3D rendering has; floor plans, house renderings, building renderings, interiors and exteriors, landscaping, you get the idea! We're also showcasing an interesting project this month at the end of the post - some real footage of a real suburb taken by a drone, that we rendered a building into on behalf of a client. Skip to the bottom to check it out if you'd rather see that. Here’s the highest quality renders we did in December; we hope you love them as much as we did, and remember; your project could be in next month’s top 10 list and earn our voucher giveaway! 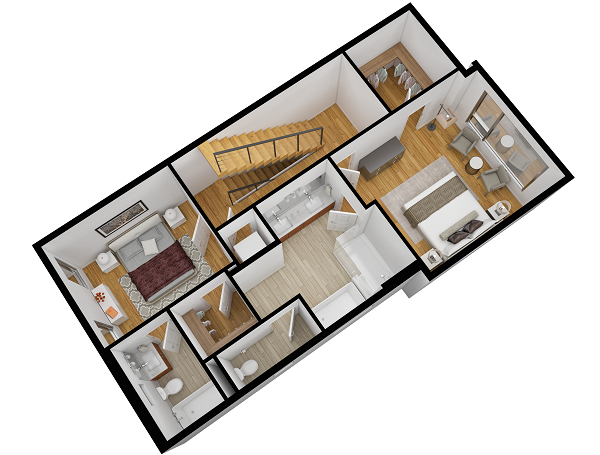 Really cute floor plan here. Have the insides of your house rendered, and it’ll almost feel like you can walk in it. Not to mention that you “could actually” kind of do it with a VR walkthrough. If there’s something we love, it's clients that pay attention to detail and incorporate them into their ideas. 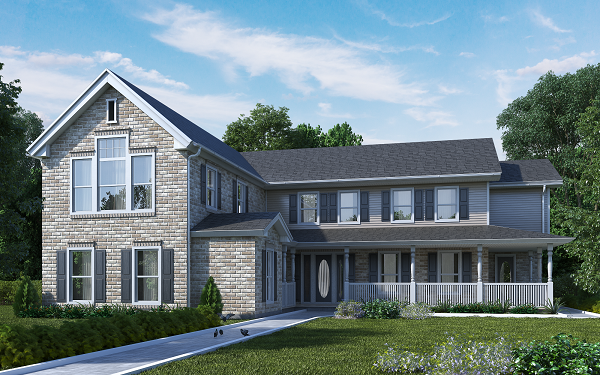 We can add anything you can dream up to your renderings, just like in this rendering, with doves near a bike on the driveway! Photorealistic reflections and professional shadows come standard with your project, no detail gets away from us. This house was so aesthetically pleasing we couldn’t leave it outside of our list. Check out the realism in the woods surrounding the house. We really went for quality in this rendering. On first glance you can't tell that it's not a photograph. Perfectly balanced scale and depth in the rendering leads to incredibly realistic work that looks like beautiful photography. We can adjust the lighting of your rendering in any way you like, giving us many ways to help you stand out from the crowd. 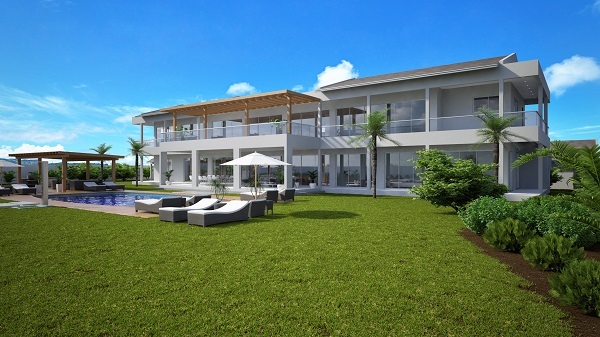 Looking at this rendering, can't you almost smell the freshly cut grass and the flowers in the garden? Here’s our favorite interior design of December. We love the beautiful textures and lighting that helps showcase the tranquil environment in this living space. Does the tree-shaped bookcase make you smile as much as it does us? Another rendering packed with great reflections, perfect shadowing and textures that you could almost reach out and touch. Here we're showcasing again the level of photorealistic detail your renderings will embody when working with us! And finally, we reach our winner! For us, this was a no-brainer. The visualization has a dreamy filter on it, which compliments its beautiful architecture. Not to mention that we kicked it up a notch when it comes to the level of detail in both the house and landscape textures. We go above and beyond to meet our client's needs, and sometimes that means creating something totally new! In this project, a client asked us to render a whole house into drone footage of a physical location. This house doesn't exist yet (and may never), it was rendered into the footage to help the owner of the footage sell the land. As you can see, the footage features the neighborhood and location of the house, giving possible buyers an idea of how it would look. But of course, it doesn’t end there, and with enough creativity the possibilities of 3D rendering technology are endless, you too can probably come out with awesome ideas, and we’ll make sure we help you out fulfilling them! 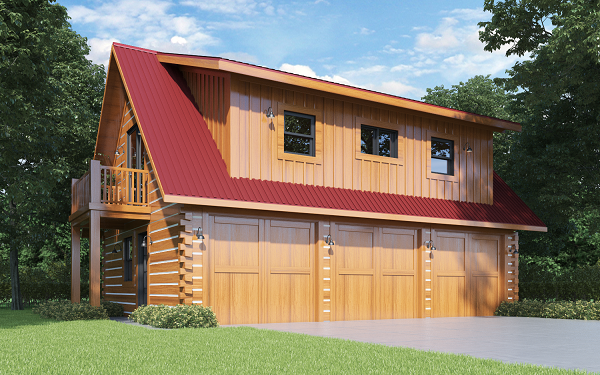 Give us a call on 1-877-350-3490 to get a free quote on your next rendering project. It will be finished to a breath taking standard in no time! Newer PostHere Are the Top 30 Renderings We Have Done in 2018!